During the cold New England winter months, we are blissfully ignorant of all the survival drama going on in the natural environment, at least as far as insects are concerned. Out of sight, out of mind, so to speak. While we have heated homes, running water and warm winter clothing, insects have only the bare necessities required to survive temperature extremes. 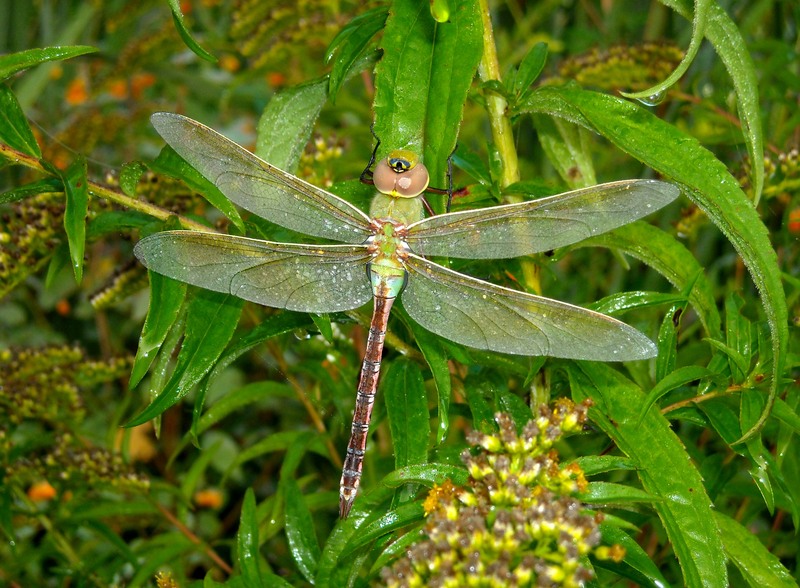 Those that do not, such as the Monarch butterflies and some dragonflies, may migrate to more insect- friendly climates. Those insects that remain have special survival mode states or processes that will see them through even the toughest icebox conditions nature may throw at them. While many butterflies can overwinter in the chrysalis form, there is one that ecloses as an adult in the fall and remains a butterfly for the winter. 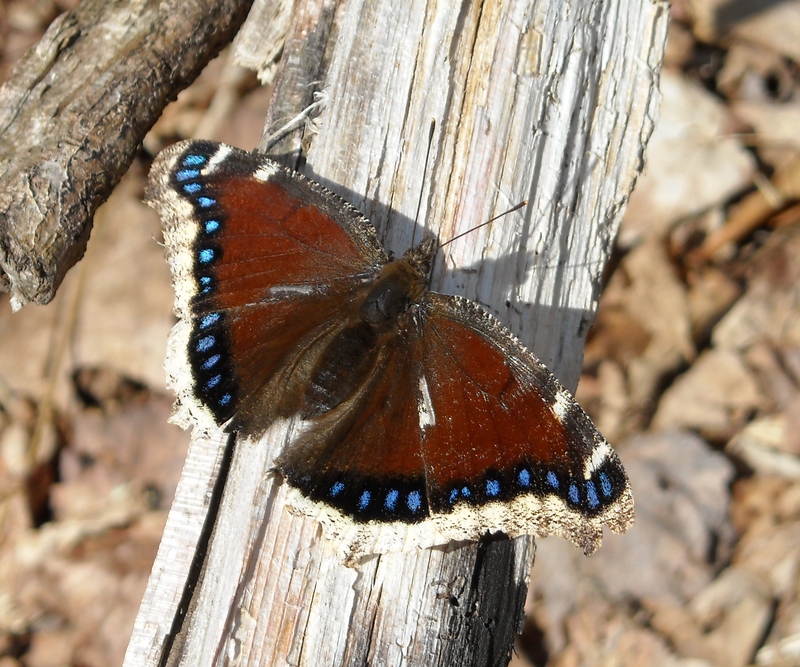 That champion of the deep freeze is the Mourning Cloak, Nymphalis antiopa). This butterfly find shelter under loose tree bark, in open sheds or tucks away in wood piles. Freeze tolerance is accomplished by small ice crystals that form outside the cells of vital organs. The small size of the crystals keeps them from damaging chemicals in the insect’s blood as well. Thus, the Mourning Cloak can survive freezing and thawing episodes and can even be seen flying about open woods during warm winter days. .Some insects survive by retreating in the soil below the frost line. Bumblebee queens, ants, beetle grubs and termites do not even have to go that deep in soils if there is as little as six inches of insulating snow cover. This is how scarab beetle grubs are able to return in the spring and resume feeding on lawn grass roots. The social honeybees profit by their cooperative efforts to keep the queen war. The worker bees do this by crowding together around the queen and shivering so that their muscles generate heat. As the periphery cools, the worker bees constantly shift positions so each has a timely turn in the warm inner parts, the ultimate example of the “ gung ho” principle in action. 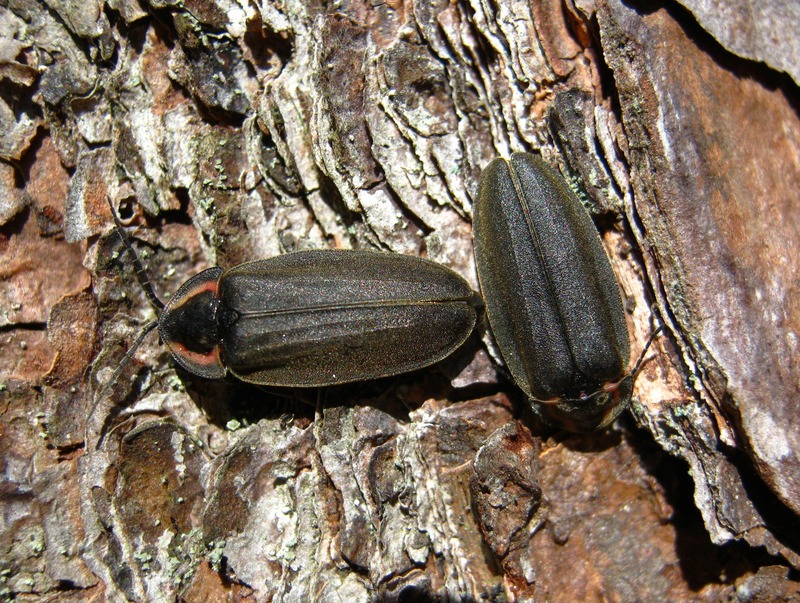 The life cycle of insects may include a phase known as diapause where dormancy, similar to the hibernation period of some animals, keeps the insect in a state where it can survive adverse environmental conditions for long periods of time. This may include surviving as an egg or inside a puparium. Aphid eggs are often laid in twig or bark crevices or underneath growth buds. Moths often survive by pupating in leaf litter, under the soil or in leaf shelters. 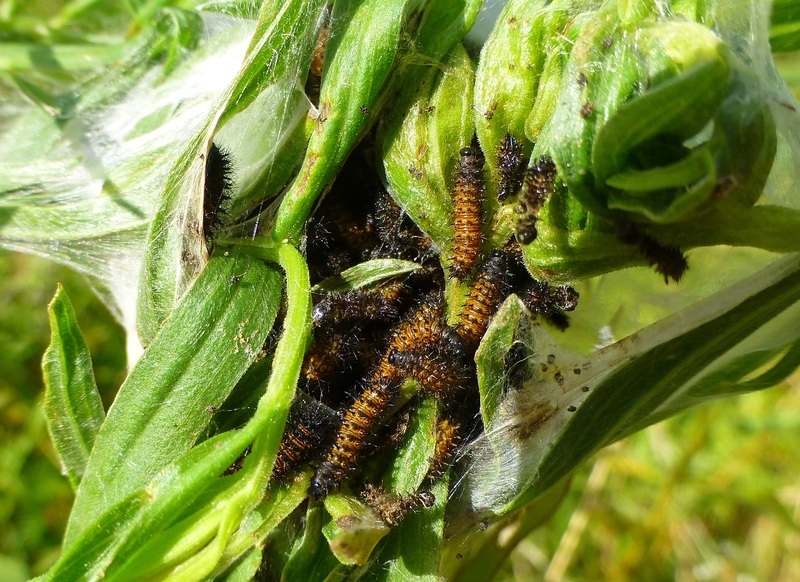 Woollybear and other tiger moth caterpillars survive winters under leaf litter and snow. A final look at insect survival in our cold winters involves aggregation, which may also cause aggravation, if they do so in our homes. Lady beetles and Box elder bugs are two such insects that utilizes this strategy, which is really more like a hop, skip and jump migration into a warmer place. A short flight to enjoy the “Florida” of our homes until survivable outdoor conditions return. While in a torpor, they may be well hidden, needing no food for the entire winter. Occasionally they venture out of hiding, but often fade away back into the shadows. It could just be a little spot check to see what is happening, with a quick retreat as they discover that nothing is. As spring arrives with warmer temperatures, the little world of insects will slowly make its appearance, whether for good or bad. So enjoy their absence, or look forward for their return, as you see fit.